I Am What I Am Today Because Of The Choices I Made Yesterday: A season of warmth and blessing. 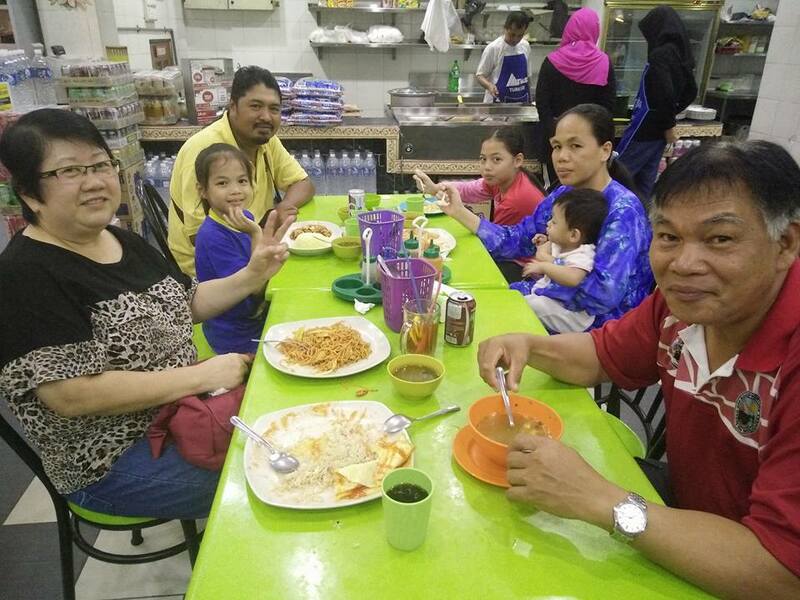 After freakin 10 years, I finally got to meet my long lost kampung cousins and their kids. 10 long years.........................................A lot of things transpired in a decade! Mum said back in 2006 we met once, but I cannot recall a tiny bit of it as if I had amnesia. Plus there was no photos taken to remind me. The last time I remembered seeing them was during my cousin Velni's wedding in 2003. So, let's make it 13 years. Now my cousin Velni has 6 children! The eldest is 13 already. O.M.G. 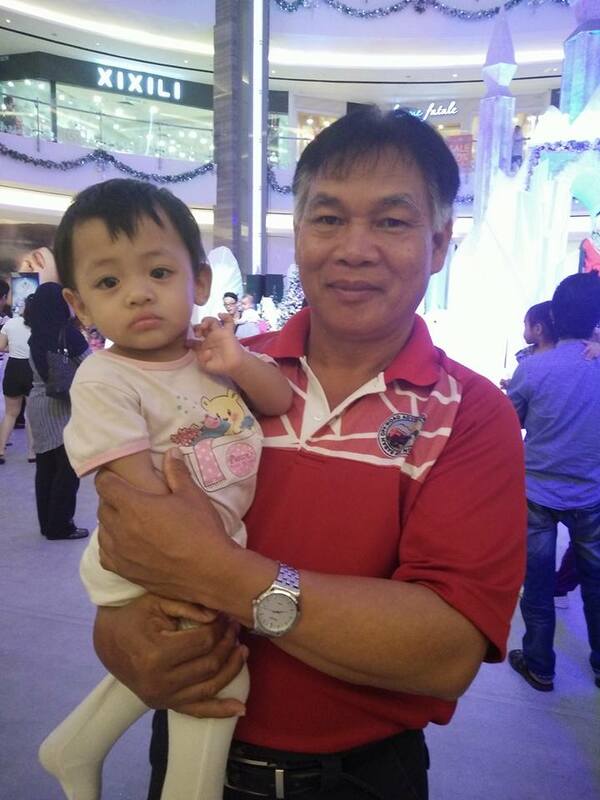 While her sister Juana who is now residing in Penang has 3 daughters! Velni and Juana used to come to our house and be our nanny, that's why I remembered them. 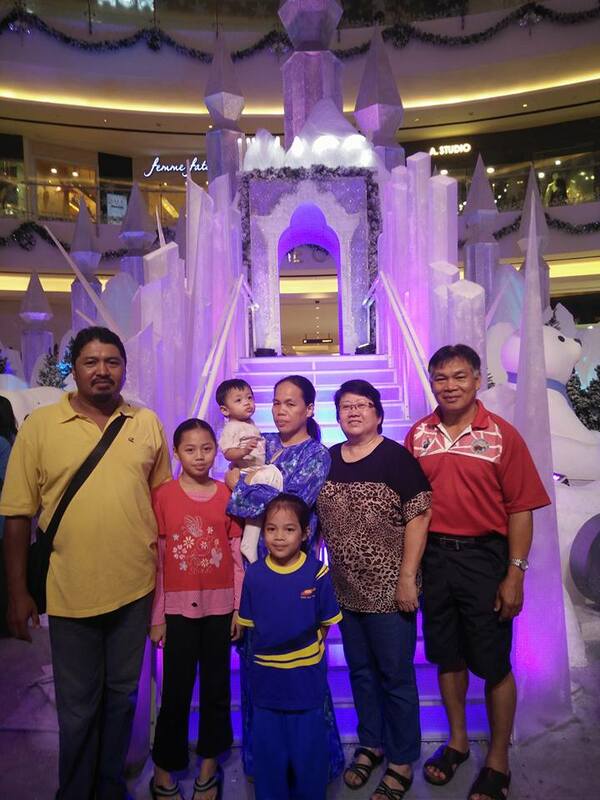 This is my cousin Juana's family, they came back to visit their kampung after 10 years. They have 3 cute little daughters. Nurul, Alia and the youngest Damia. 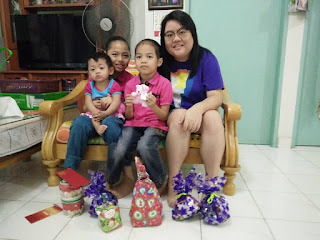 They stayed 1 night at our humble house before departing to Penang. Thank goodness our house is quite near to the airport. 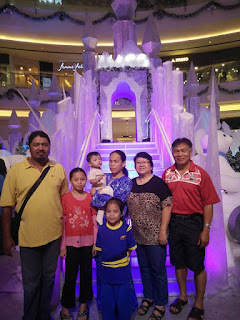 My dad has 3 sisters and each sister has a dozens of kids who are now scattered all over Malaysia. Sometimes I wonder how these kampung folks can raise so many kids, but come to think of it, kampung has so many cheap or free resources compared to living in a city. I guess that's how they survived. My dad wanted a third child, but mummy say no no due to financial constrain that time. Hey I could have another little brother or sister! Recently we taught dad how to use a smartphone, with his limited knowledge of tech jargon, he is now able to use whatsapp. Thank God with the availability of technology, it did helped a lot in finding some of the long lost relatives. Finding all of them would be an arduous task as some staying in rural area kampung has no internet connection, and by kampung I'm talking about gravel dirt road, lots of trees and bushes, and people walking around in sarong or barefoot. Besides they probably never heard of the word wifi before. On the 26th we decided to visit dad's kampung Kota Marudu. This trip has made me realize that I have so many nephews and nieces. The reason we seldom go back to kampung is because it's quite far, about 2 hour journey from KK. Secondly, I don't speak my dad's language - dusun. My dad just never taught me. I guess that's how the phrase mother tongue got its name from, cause we usually follow the mother's side. And I have to say I felt ashamed for not knowing my own language. So daddies and mummies out there, be sure to teach your kids your own language. I baked them some cupcakes. They were gone in a jiffy! These kampung kids probably never received wrapped gifts or party packs before. So in this season of blessings, I decided to bless them with simple gifts. These are my soft toys which had been sitting in the glass cabinet for years waiting for a new owner to play with them. Plus, it's time to clear out all the ancient stuffs in the cabinet and replace them with new decorations =) So it's killing 2 birds with one stone. They are considerably still new, I gave them a new look by just wrapping them up nicely. Hey, who doesn't like presents? Back row from left: cousin Velni and her eldest daughter Si Kunai. One missing, Si Yu Sang. Followed his dad to the kebun potong getah. And the other day, we went to a new store named Ninso at kelombong, all the items are sold at RM2.50. So we grab all the snacks, and I realized, hey, we could transformed it into a party pack for every kids, I'm 100% sure they'll be delighted when they receive it just like I received mine at Sunday school long time ago. Watching these elated kampung kids accepting those simple gifts, it reminded me of my childhood, how I used to be like them. Each party pack may only cost a few dollars, but it meant the world to me. We don't have much back then, so scarce food like snack is an extravaganza. Now that we have more, we want to bless others just like how others blessed us in the past. This is the season of giving, you don't have to buy expensive gifts, as long as you're sincere, you know that you're doing good, and you are happy, that's all that matters. If you're blessed, be sure to appreciate it and don't forget to thank God and that person as well. I hope to see them again soon, probably will go back more often. No more excuses. And here's a short getaway to Tips Of Borneo.